High-quality photos of the German professional football player Ozil. Mesut Özil, born 15 October 1988, is a German professional footballer who plays for English club Arsenal. He is considered to be one of the best players in the world. At an international level, Özil played 92 matches for the Germany national team, scoring 23 goals, and registered 40 assists. He has also won a record five German Player of the Year awards. Özil represented his country in three FIFA World Cups, as well as two UEFA European Championships, and was an integral part in both the 2010 FIFA World Cup and UEFA Euro 2012 team in South Africa and Ukraine, starring as the joint-highest assist the provider in both competitions. Özil was also a key contributor as Germany won the 2014 FIFA World Cup in Brazil, gaining several plaudits for his versatility and creativity. After the 2018 FIFA World Cup, Özil retired from international competition due to alleged discrimination and disrespect by the German Football Association (DFB). “I have played for Real Madrid, which is such a big club and where the pressure is so huge because you have to go and, really, win absolutely every game. There is no game where people don’t expect you to win. 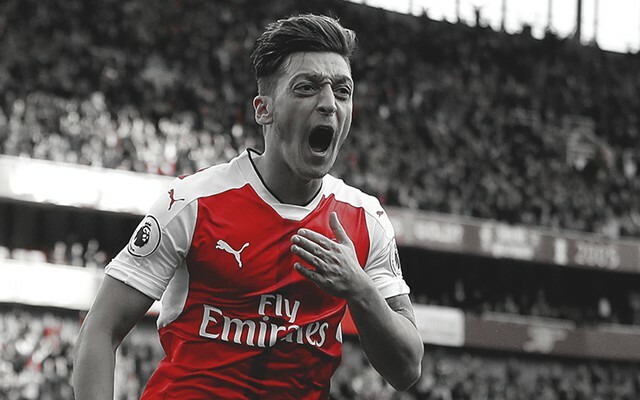 So, having played there for three years, pressure is nothing that would scare me,” said Ozil in an interview. Congratulations Mesut – here’s to many more years of success.